The Ocean Shore Railroad had precisely one formal depot along its right-of-way, and it was a small little creation at that. While plans were set forth to develop a sprawling, thriving depot near the Southern Pacific's Santa Cruz Union Depot, the earthquake and corporate bickering ended that option. The Southern Pacific successfully blocked the Ocean Shore's path to its proposed depot site, stranding the railroad's operations on the West Side of Santa Cruz near Bay Street. A short hill and Neary's Lagoon seemed small enough obstacles to surmount, but the politics of the day helped doom the Ocean Shore Railroad as much as natural disasters and financial collapses. 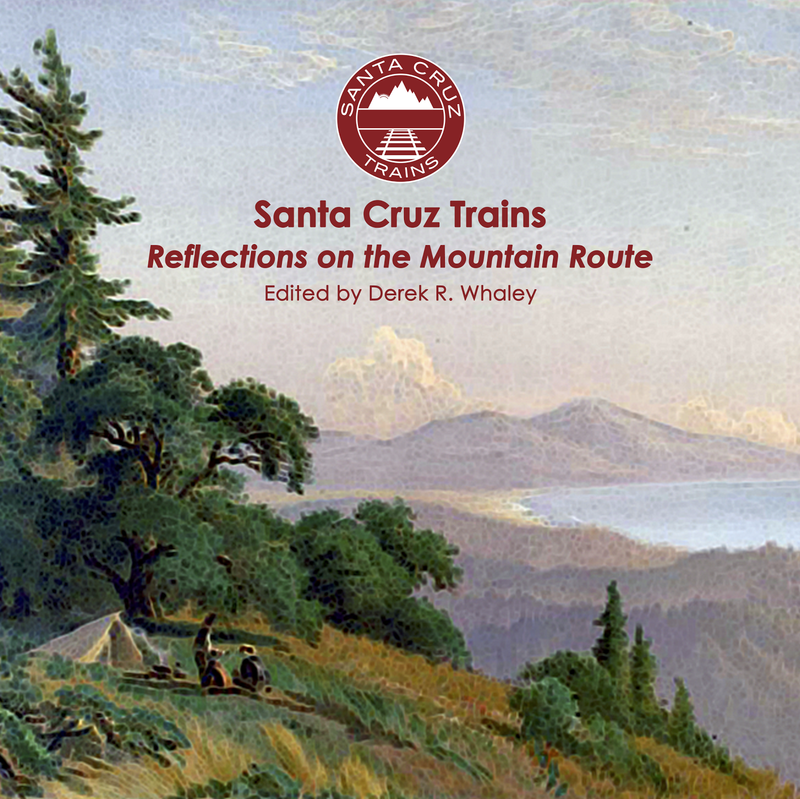 Thus, the history of the Santa Cruz Ocean Shore Depot was sad, much like the history of the railroad itself. 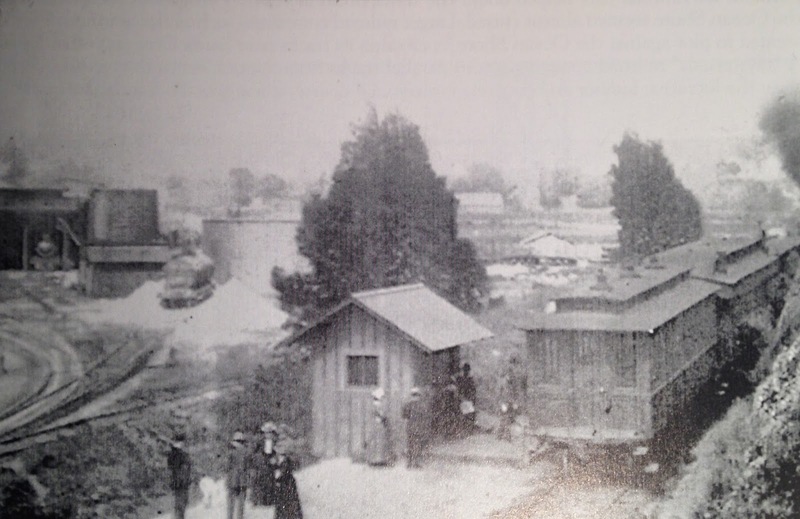 The original temporary depot, a simple 10 ft. by 12 ft. shack with windows facing either way down the right-of-way, was all the Ocean Shore ever built for its primary Santa Cruz location. 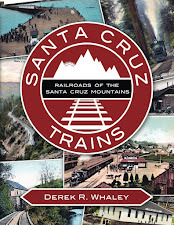 The depot, while located at 0.0 miles down the Ocean Shore's Southern Division tracks, was about 0.7 miles away from the Santa Cruz Union Depot via a small little switchback track near the larger depot's wye. Indeed, the switch was a part of the northern wye and the Southern Pacific made transfers at this site as difficult as possible, even if most of the rolling stock on the southern division of the Ocean Shore was at least partly owned by the Southern Pacific. The depot's precise location correlates closely today with the large Westcliff Townhomes building beside the old Howe Truss Bridge off West Cliff Drive near Bay Street. Originally, there was a footpath for passengers to walk from the end of this bridge to the depot. This location placed it somewhat embarrassingly above the Southern Pacific freight yard, an insurmountable obstacle teasing the Ocean Shore Railroad every day of its existence. The depot served its purpose for a good fifteen years before the Ocean Shore Railroad shuttered operations in the area. After 1920, the San Vicente Lumber Company was responsible for maintaining the tracks, and likely was given more access privileges on the Southern Pacific tracks than the Ocean Shore had ever been allowed. Since the line shifted strictly to freight (and employees), the likelihood is that the Santa Cruz depot was abandoned around 1920. Traffic for employees probably ended at Garfield Avenue, where streetcar access was readily available. Business transactions were conducted elsewhere while the San Vicente Mill was located deeper into the West Side of Santa Cruz. The tracks in front of the old depot remained until the route was scrapped in 1923. The fate of the physical depot building is unknown. Rick Hamman, California Central Coast Railways (Santa Cruz: Otter B Books, 2002). Chris Hunter, Images of Rail: Ocean Shore Railroad (Charleston, SC: Arcadia Pub., 2004). Duncan Nanney, et al., private notes and correspondence. Be aware that this version of the depot image (as in Hunter) is a mirror-image print, so the engine is not actually facing the wrong way. Hamman used the correct image, as does Jack Wagner in "The Last Whistle". Actually, the photo above has already been mirror reversed. I realized the problem right away and flipped it. I've compared this to maps and the images in other books and it matches the correct orientation. The bigger question asked lately is what this structure was used for. The actual Ocean Shore Santa Cruz Depot was a block away on Bay Street.